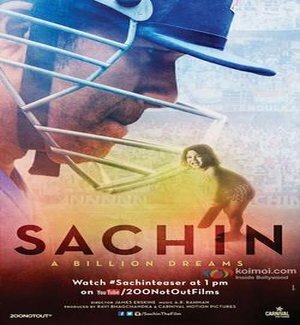 Sachin: A Billion Dreams is an Upcoming Bollywood Film in 2017, It is Biographical, Sports Film and Sachin Tendulkar, Mayuresh Pem in lead roles. This film is Directed by James Erskine and Produced by Ravi Bhagchandka. It is made under the banner of 200 NotOut Productions. 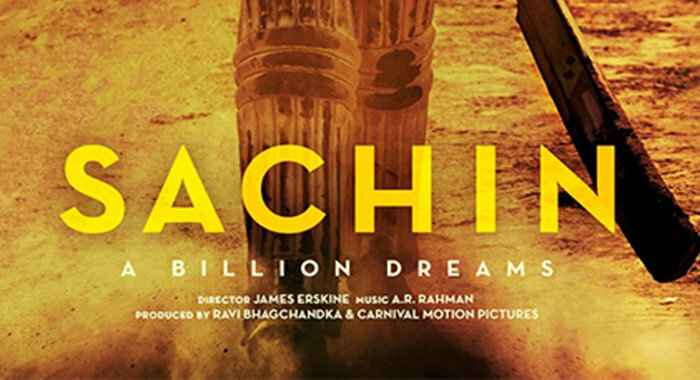 Sachin: A Billion Dreams is scheduled to release on 26 May 2017. This film is based on the great cricketer Sachin Tendulkar's life. This film was directed by Direct James Erskine. And this film will be released worldwide in both Hindi and English languages. The work of this film was going on for a year. Storyline: ‘Sachin: A Billion Dreams’ will narrate the story of how naughty curly haired boy in the Mumbai suburbs who climbed trees, pretended to be John McEnroe and once even pinned down and beat up classmate took his cricketing genius to highest level in the sport and was hailed an epitome of discipline in the international sport. Sachin Tendulkar announced on Twitter handle that his biopic film is set to release on 26 May, 2017. First poster of the film was released on April 2016 and the name was announced by the batting great through Twitter contest earlier.